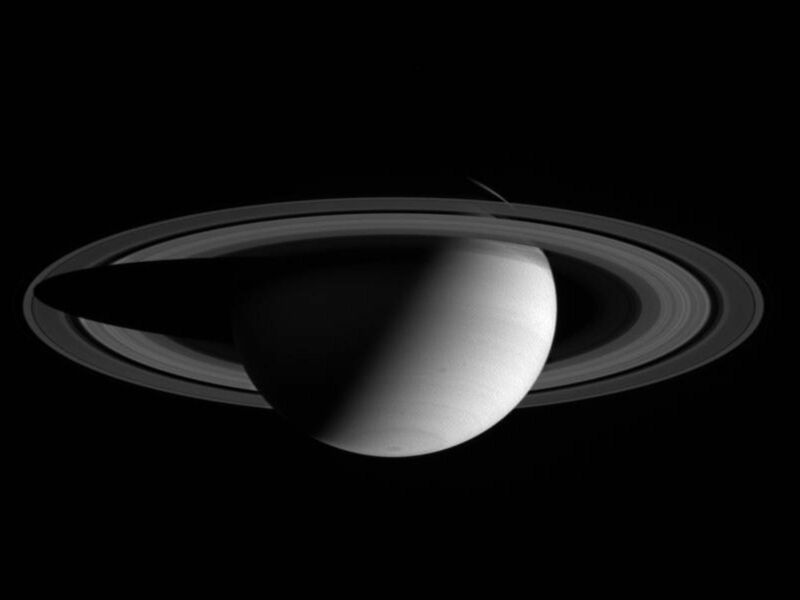 This Cassini spacecraft wide angle camera view shows a half-lit Saturn, with two dark storms rolling through its southern hemisphere. The image was taken in visible red light on July 19, 2004, at a distance of 6.2 million kilometers (3.9 million miles) from Saturn. The image scale is 366 kilometers (227miles) per pixel. Contrast was slightly enhanced to bring out features in the atmosphere.